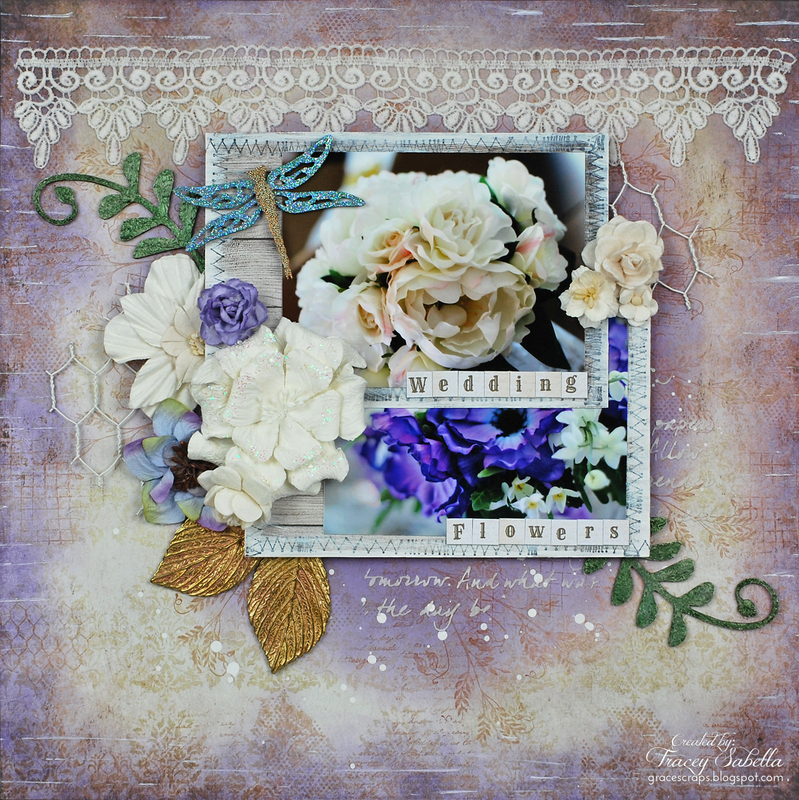 It's Tracey here to share a mixed media layout featuring gorgeous Leaky Shed Studio Chipboard. I've been a crafter since I was a young girl. So although I had not done much with flower arranging, I was game when Elizabeth asked me to create the bouquets for her and her bridesmaids. The wedding photographer captured them so beautifully. 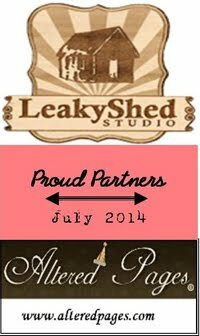 Leaky Shed Studio has some amazing designs and their high quality chipboard stands up to most any mixed media treatment. Here, I've added texture to the Fern Flourish by dabbing with extra heavy gesso, then painting with a couple shades of green. 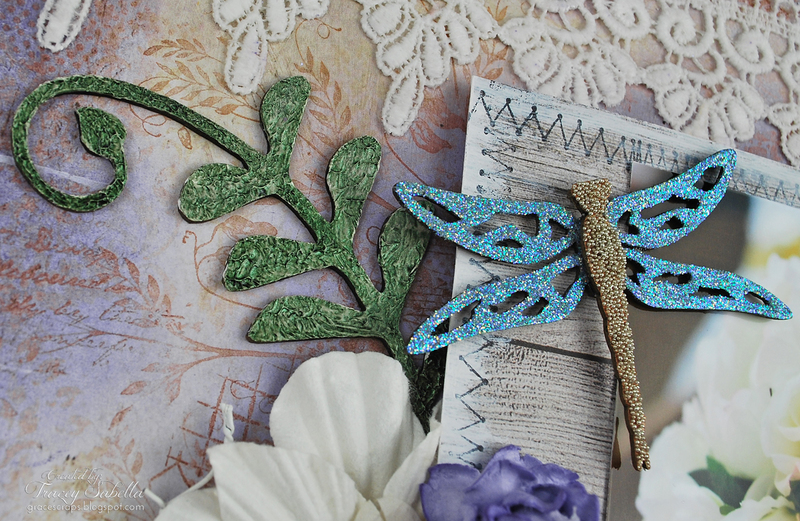 When I was a girl, I was always intrigued by the shimmery, translucent wings of dragonflies. 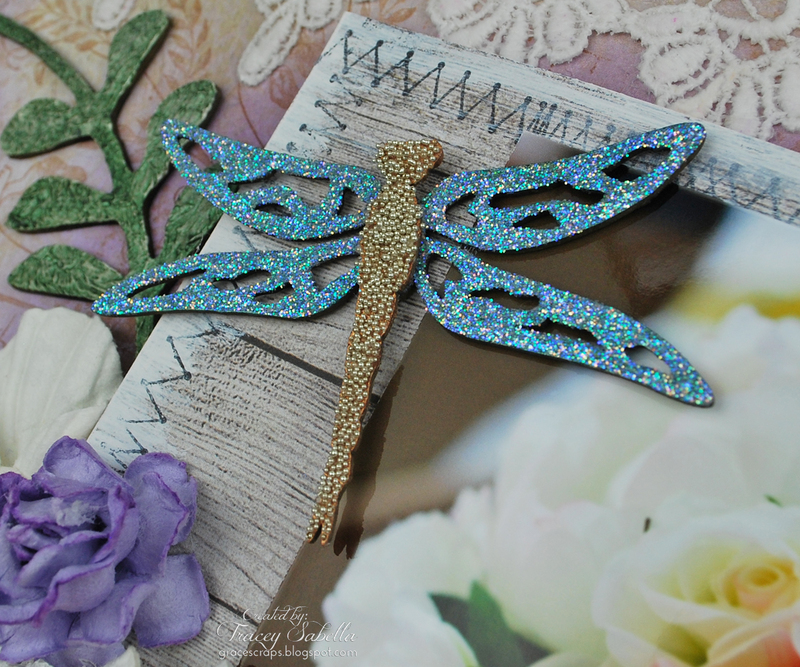 I tried to recreate that feel by painting the wings of this Spring Dragonfly with teal metallic paint, then a dusting with Donna Salazar's Clearsnap Twinkle Dust Glitter in Mixed Berries. The body was covered with Helmar Gemstone Glue and sprinkled with silver microbeads. 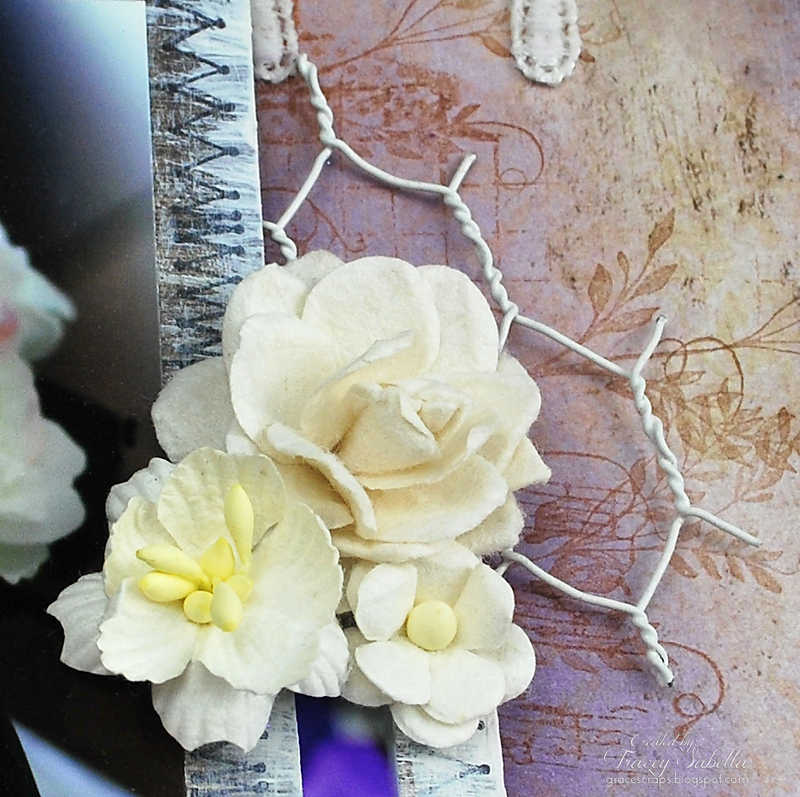 My chipboard pieces are a focal point to my cluster and by placing a Fern Flourish at each corner of my photos, draws your eye across the page to focus on the lovely wedding flower photos. 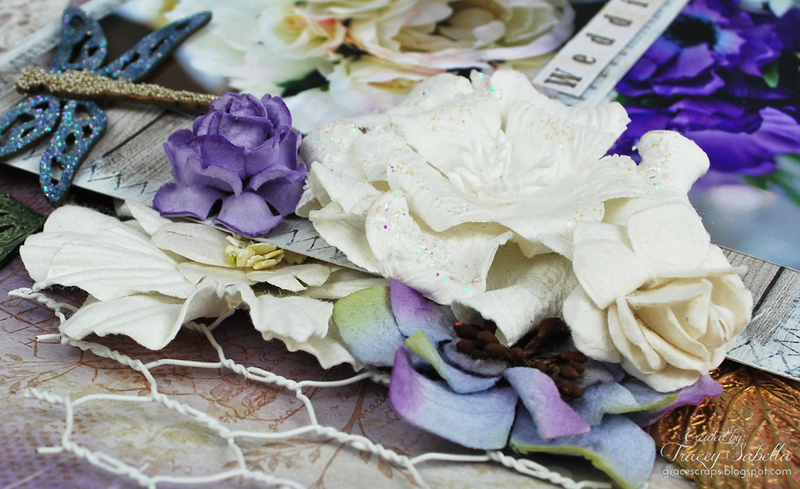 A close-up side view of my layered cluster of flowers, chicken wire, leaf charms, and of course Leaky Shed Studio Chipboard. Here's a shot of the smaller grouping of flowers. I've added color and texture to my background with random stamping and blending Pan Pastels into the edges and behind the photo cluster. 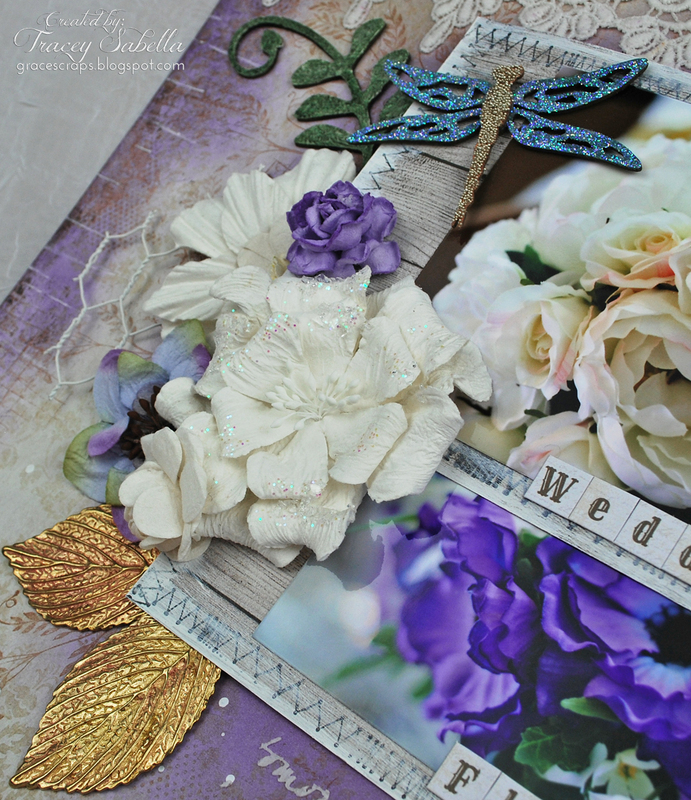 I hope you've been inspired to add shimmer and texture to your next Leaky Shed Studio Chipboard project!